EDMONTON – Aurora Cannabis Inc. has announced it has agreed to a new $200 million debt facility, with a potential upsize to $250 million, with the Bank of Montreal (BMO). The facility will consist of a $150 million term loan and a $50 million revolving credit facility, both of which will mature in 2021, Aurora said in a statement. 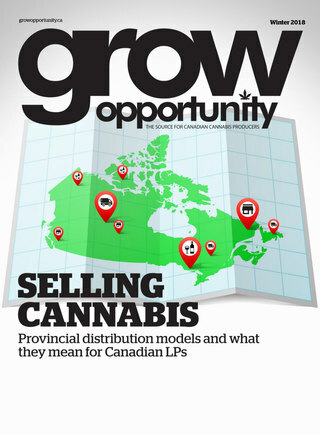 A short period after the implementation of Bill C-45 in October 2018, the cannabis producer may request an increase of up to a further $45 million to the term loan subject to agreement by BMO and satisfaction of certain legal and business conditions. BMO will also be providing up to $5 million in other credit instruments. Closing of the debt facility is subject to completion of final due diligence, negotiation of definitive documentation, and satisfaction of conditions precedent customary to a financing of this nature. The debt facility will be primarily secured by Aurora's production facilities, including Aurora Sky, Aurora Mountain and Aurora Vie. Strategically located at Edmonton International Airport, Aurora Sky is the world's most technologically advanced cannabis facility, projected to produce in excess of 100,000 kg per year of high-quality cannabis at low per gram costs, and slated to deliver its first harvest this week, Aurora said. "Having successfully met all of BMO's stringent risk assessment and other due diligence criteria to establish this facility reflects well on the maturity, progress and prospects of Aurora, as well as the quality and economic value of our production facilities," said Terry Booth, CEO of Aurora. "This is by far the largest traditional debt facility in the cannabis industry to date. The funds provide us additional fuel to complement our end-to-end portfolio of vertically integrated, geographically and horizontally diversified assets, aimed at building a pre-eminent global cannabis company with a superior margin profile." Aurora CFO Glen Ibbott added, "The shift to traditional debt financing is significant. Our cost of capital continues to decrease, providing us a distinct competitive advantage as we execute on our growth strategy. The non-dilutive nature and attractive pricing are consistent with Aurora's commitment to generating shareholder value. We believe this is a major milestone in the cannabis industry and a validation of our operational effectiveness. It also marks an exciting new stage of our long-term relationship with BMO, a Tier 1 bank with a sterling domestic and international reputation." Headquartered in Edmonton, Alberta, with funded capacity in excess of 430,000 kg per year and operations across Canada and in Europe, Aurora is one of the world's largest cannabis companies.